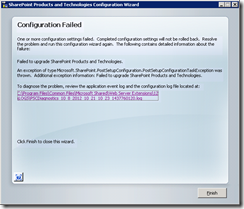 SharePoint 2007: Upgrade to SP3 fails with “Transaction log for SSP_Search_DB is full” | Basics for Computer Nerds! [SearchDatabaseSequence] [ERROR] [10/8/2012 10:47:37 AM]: Action 12.2.508.0 of Microsoft.Office.Server.Search.Upgrade.SearchDatabaseSequence failed. If the Office Server Search functionality is configured within SSP, while Configuration Wizard is running after installing the WSS and MOSS2007 bits, the SQL Transaction Log assigned to the Search DB will tremendously increase its size (up to 100 GB in some cases). So make sure you have enough space on the Drive on SQL Server where the Transaction Log is located. 100 GB? They must be kidding. Anyway, I moved the transaction log to a bigger drive (detach DB, move .ldf file, attach DB) and started the SharePoint upgrade again. Bingo! Now the upgrade completed successfully! The transaction log grew to 17GB, that’s 17 times bigger than the DB itself! The Office Server Search gatherer crawled documents in batches. It creates a batch ID each time it loads documents from the crawl queue into SQL, these BatchIDs are stored in MSSBatchHistory Table (part of SSP Search DB). There was a limitation that existed in Search where in it does not clean up the MSSBatchHistory table upon crawl completion. As a result, MSSBatchHistory table continues to grow till one day BatchId (as defined as Identity type column) reaches the limit of Int described here , which would cause a failure in Search. If you are upgrading to the April 2011 CU or Service Pack 3 for WSS 3.0/SharePoint 2007 coming from an older build (say Pre-April 2011 CU), this fix would get applied & as a part of the upgrade it will change the BatchID column from Int to BigInt. This process can take a lot of time (many hours) depending upon the number of records in the MSSBatchHistory table & will also grow the transaction log for SSP Search database considerably. 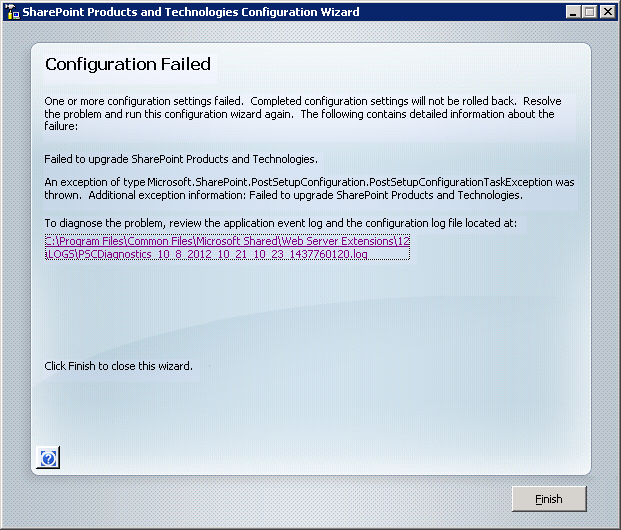 After the search index is deleted, do the upgrade to SP3. Once complete, start a full crawl for each content source.